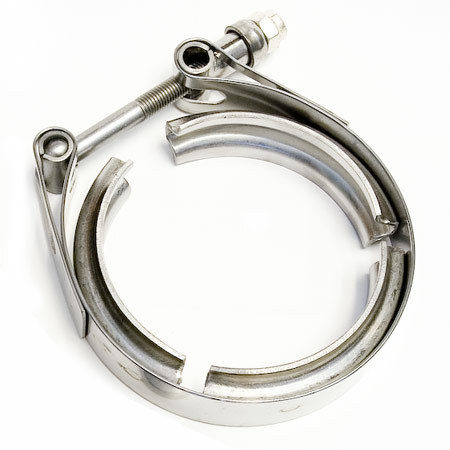 Heavy duty stainless steel V-Band clamp for turbo discharge setups or to mate (2) of our 2.5" v-band flanges. This clamp is made from Stainless Steel. 2.50" refers to the tube diameter and this clamp is used for industry standard 2.5" v-band flanges that have an outer edge of about 3.1". 2.5" refers to the outer diameter of the tube used on this size vband flange.